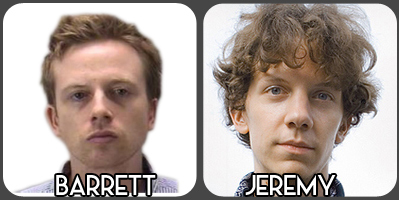 This week we are writing to Jeremy Hammond and Barrett Brown, both of whom are imprisoned in relation to the hacking of the private intelligence firm Statfor. Jeremy Hammond is an anarchist computer hacker from Chicago. In November 2013, he was sentenced to 10 years in federal prison for leaking the personal information of 860,000 customers of private intelligence firm Strategic Forecasting (Stratfor) through the whistle-blowing website Wikileaks. This information revealed that Stratfor spies on activists, among others, at the behest of corporations and the U.S. government. In October 2012, Barrett Brown was indicted on three counts related to postings on websites such as Twitter and YouTube. Later in December of that year, Barrett was indicted by a federal grand jury on twelve additional counts related to data from the Stratfor information leak carried out by hackers from Anonymous. Despite his lack of direct involvement in the operation and stated opposition to it, he faced these charges for allegedly pasting a hyperlink online. On January 23, 2013 he was indicted a third time on two more counts, relating to the March 2012 FBI raid(s) on his apartment and his mother’s house. In April, Brown pleaded guilty to three reduced counts. In January 2015, he was sentenced to 63 months in federal prison. comrades), and we provide you with a delicious vegan meal, information about the prisoners as well as all of the letter-writing materials and prisoner-letter-writing info you could ever want to use in one evening. In return, you write a thoughtful letter to a political prisoner or prisoner of war of your choosing or, better yet, keep up a long-term correspondence. We’ll also provide some brief updates and pass around birthday cards for the PP/POWs whose birthdays fall in the next two weeks thanks to thePP/POW Birthday Calendar. Illustrated Guide Version 10.7 Now Uploaded! Illustrated Guide Version 10.6 Now Uploaded!